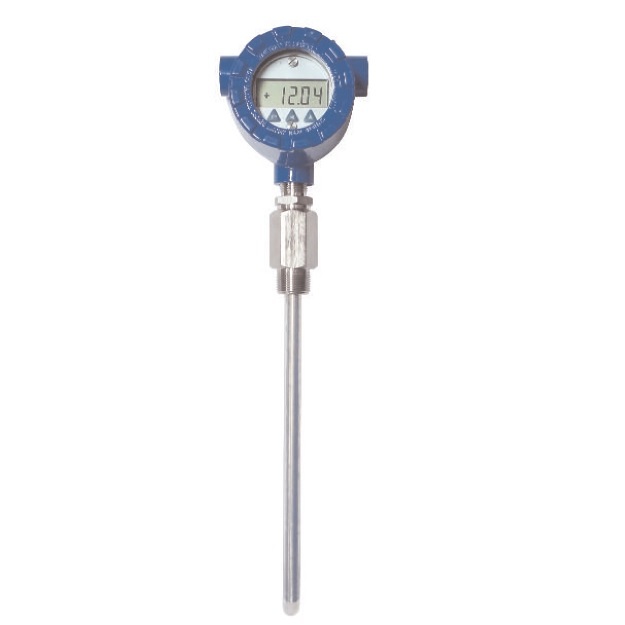 The series LTX03 are highly reliable microprocessor based capacitance level transmitters designed to measure tank levels of liquids and certain dry bulk media in metal tanks. They measure the change in capacitance that occurs as the tank level changes and outputs a standard loop powered 4029mA signal. The 4-digit LCD display can be configured to read from 999 to 9999 with a 4-20mA input signal. The decimal point location and engineering units can be adjusted using membrane switches. LTX03 transmitters use very high frequency and very low amplitude sensing circuitry to greatly minimize the effects of coating on the sensing probe. The LTX03 includes a standard 4-20mA loop powered LTX transmitter with LCD display installed in a rugged explosion proof enclosure, a mounting fitting and a rigid probe for ranges of up to 12 feet (4m). Probe material supplied is PFA FEP jacketed or bare SS316. The LTX03 is designed for tanks which have fitting connections of 1/2″NPT or larger. Tank must be conductive or grounding may be required.